I must really like this shrub, because in the photos (way too many) I've set aside for this blog, it appears three times. Actually, I do love this plant, and every time I see it in bloom, it just bedazzles me. The lemon yellow color, the dangly flowers and the lovely scent - all coming at the end of winter when you're so anxious for spring and need a cheerful sight. If truth be known, I'm not sure which corylopsis this is. The common name is winter hazel, but there are thirty-odd species (this, according to Wikipedia, but I could only read the beginning of the entry, as the site is dark today). Mike Dirr lists only a few different species, which are hardy from Zones 5 or 6 to 8. After reading posts from colder areas, I see that the shrub should be planted in a protected place, and blooms are not always reliable. Here in Atlanta, in Zone 7-B, we have pretty good luck with the flowers; at least that's been the case in recent years. At the Southeastern Flower Show one year, an exhibitor had a specimen in his display garden that had exceptionally long chains of flowers. 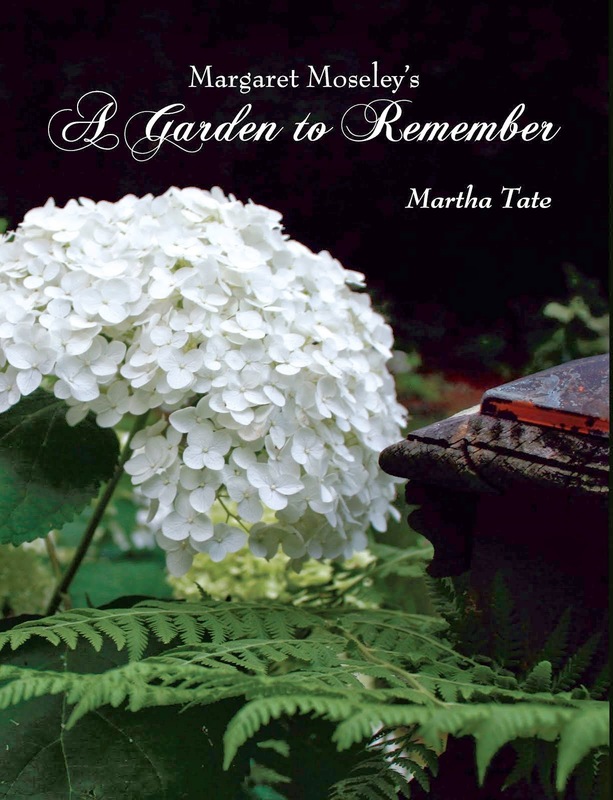 He had forced the shrub into early bloom, and it was just breathtaking. Sad to say, I didn't write down who the exhibitor was, but I do remember that he was surprised at the length of the racemes, as well. Also, he didn't know which species he had. This is a marvelous shrub to grow, especially if you can give it an evergreen background as pictured above (I'd say this is crucial to show off the flowers). This particular plant was tall - maybe to seven or eight feet. If you prune just after bloom time, though, you can keep it more in bounds. Ideally, if you have room, you could just let it go and enjoy all the light lemon color. 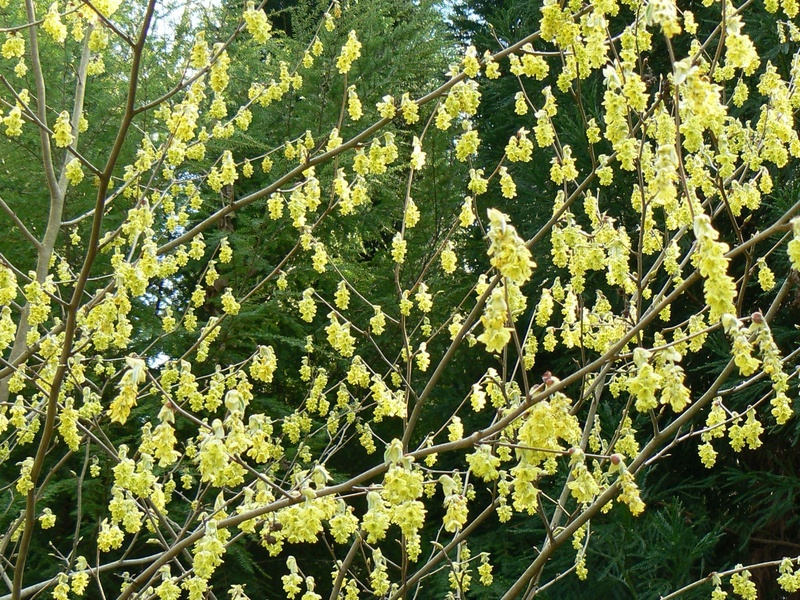 I'm writing this at least a month or more before corylopsis will be in bloom in Atlanta (well, one never knows; it's in the 30's this morning, but it's supposed to be 68 degrees on Sunday; anything can happen). However, given the confusion about the different species, it's probably best to buy a corylopsis when you can see the flowers. You'll want to make sure you get one with two to three inch long chains (some plants have only one-inch racemes) and the light yellow color that literally glows on late winter days.